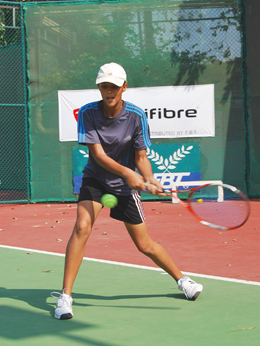 Hong Kong International Tennis Academy operates on basic rules and regulations basis on assumption that every player is committed to working hard and strive for excellence. No swearing or any form of racket or ball abuse will be tolerated at all times. Players must be on time. Players who are late for their training sessions will not be permitted to join the training session after start times, unless otherwise arranged with the coach in advance. Players must maintain satisfactory school grades (average or above). Parents, relatives or friends of academy players must remain off court during training sessions. They must also refrain from yelling out to, or disturbing players and coaches during training sessions.